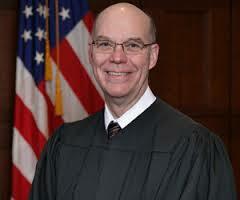 Senior United States District Judge Joe Bataillon « Hercules and the umpire. After serving with great distinction as an active district judge, including service as our Chief Judge, as Chair of the Judicial Conference’s Committee on Space and Facilities, and currently as a member of the Judicial Conference’s Budget Committee and Economy Subcommittee, Judge Joe took senior status on October 3, 2014. Judge Bataillon received his commission as a U.S. District Judge on September 18, 1997. Joe came to the bench after serving as a public defender and medical malpractice defense lawyer. Today, we will hold a ceremonial session to honor the judge for his tireless service. Fun it will be. Judge Joe decided numerous important cases. My favorite decision was when he ordered the return of $ 1 million to a 33-year-old stripper from California who claimed that she had been saving the money since she was 18. I’m serious; this was a real case and that was exactly what Joe decided after hearing the stripper testify. 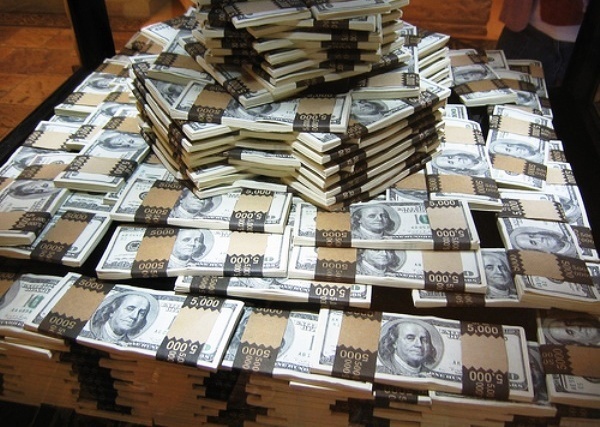 The feds targeted the cash (pictured below) as drug money subject to forfeiture. See here for more details. For that courageous (do I mean credulous?) decision, Joe received the Legion of Merit from the International Association of Strippers and Pole Dancers. All kidding aside, Joe is simply the best! And Joe bleeds blue in the land of red. A Jaysker is a stupid word and stupider concept. Bleed blue or U R a traitor. And I am sure his wife is proud of that fine award. As you note, Joe is rabid fan all Creighton University sports, particularly baseball. All the best.